As a follow up to my last blog, I wanted to share a few more points about HR and Recruitment analytics then time allowed for. So here’s what I left out. First we are seeing a massive replacement of licensed, traditional HRMS systems taking place. Many large companies either have, our or are looking into replacing the core HR applications. Most where built internally, just store structured data, are difficult to pull data from unless you can write code and are not integrated with other data structures. The replacements are often vendor managed, cloud based, data storage solutions with end user interfaces that simply finding and analyzing data and often automate much of the reporting. And they can be updated in hours versus minutes, versus the old platforms that could take weeks if not months to update. These new platforms are able to provide almost limitless data points, have built in business dashboards and are starting to offer powerful predictive analytics models. The days of many of the old school CRMs and ATSs we are using to manage people data are truly numbered. Another trend worth mentioning is the efforts cutting edge teams are putting into both candidate and employee engagement. Attempts to “gamify” various part of the employee lifecycle to make data gathering, analysis and sharing more eventful is increasingly common. Its common knowledge that ways to attract and keep the attention of millennials is significantly different then it is for baby boomers or Gen Xers. Dr. Sullivan mentioned that “we are seeing the traditional annual engagement survey is going the way of the dinosaur (slowly however) and a new breed of pulse tools, feedback apps, and anonymous social networking tools has arrived.” It has never been more important to look at not just the enterprise wide health of a company, but that of small communities within the enterprise. Metrics that measure how engaged an employee once a year is are no longer enough. We can use things like sentiment analysis, text analytics and social media data scrapping to uncover things we would never see in a survey where everyone is pressured to give top scores. And we really have to get beyond historical data and descriptive analytics to look at current and predictive metrics. We need to quickly know when and why metrics are headed in the wrong direction and measure the impact of our solutions. And this goes for not just current employees, but future ones as well. Candidate satisfaction with the hiring process is often an over looked metric. We also now have the data and the tools to run predictive models on how, when and why someone may be looking to leave the company. This creates another whole area of HR analytics to look at. If you are curious about how to get more than just the most basic descriptive analytics out of your business data, then let us sit down and talk about. Finding solutions to replace your old HR systems with more employee engagement options and predictive analytics is not as hard or as expensive as it was a few years ago. Let me show you how getting back on the cutting edge with your data can be done. Q11: Can you next describe how to best use predictive analytics? A look at how predictive analytics is used to help drive decision-making starts with a basic need to improve things. Someone once told me that despite all the advanced technology in our phones, cars, homes, workplaces… the world is a remarkably inefficient, wasteful place. Two blogs ago, I defined predictive analytics as a process that takes data and extrapolates patterns to predict likely outcomes. Past, Present, Past Present, Future… the goal being too provided educated guesses on what is most likely to happen next. The primary use of predictive analytics is to predict outcomes using models that will mitigate risk and eliminate choices based on unlikely outcomes. For anyone who is familiar with Lean or Six Sigma, there is a lot in common with predictive analytics and process improvement methodologies. We take historical performance data and combine it with rules, algorithms, and occasionally external data to determine the probable future outcome of an event or the likelihood of a situation occurring. Once we see where we think things might go wrong, we make changes to prevent or at least mitigate the future. Predictive analytics is used most extensively in places where you want to know the future like sales, marketing, and finance. To do this you need to build models. Models are not always simple and often take someone with both business experience and professional training in certain coding or programming languages. In the hands of a good analyst, predictive analytics helps a business continually reinvent itself based not just on what happen, but what is likely to happen. This allows a wide range of organizational activities to be improved by predicting the behaviors and outcomes of people, the futures of individual customers, debtors, patients, criminal suspects, employees, and voters. It’s that generality that makes this technology so awesome. Business that have good predictive analytics are much more likely to be successful over the long term. When you look at businesses that fail, its generally because they didn’t have an eye of the future. If you are wondering how to take your descriptive analytics to the next level and start getting more into predictive analytics, let me know. I can help you figure out to starting using something besides the magic 8 ball to predict what lies ahead. Prelude to Q10: Understanding the 3 different types of analytics. The analytics efforts in a business are generally divided into 3 types; descriptive, predictive and prescriptive analytics. A simple definition of descriptive analytics is that it is used to answer questions about what has happened in a business. It is primary use is to look at the current business situation with an eye towards looking for cause and effect. It helps one to understand how to manage in the present based on what happened in the past. Per the Commission on Higher Education (CHED), descriptive analytics make use of current transactions to enable managers to visualize how the company is performing. When teaching the concept, it is generally focused on analysis and reporting to guide decision-making. Most businesses use mostly descriptive analytics in their analysis, reporting and decision-making. Have to apologize to whoever made this image, I dont know the source, but you have my thanks for making it. As you can see in the image, predictive analytics takes data and extrapolates patterns to predict likely outcomes. Past, Present, Past Present, Future… the goal being too provided educated guesses on what is most likely to happen next. The primary use of predictive analytics is to predict outcomes using models that will mitigate risk and eliminate choices based on unlikely outcomes. Per CHED, Predictive analytics allows voluminous data to be used for prediction, classification and association making it very useful tool for projections, forecasts, and correlations. Most lessons around predictive analytics involve data modeling and require a much higher degree of skill then descriptive analytics. In general, predictive analytics is used by large companies in data-rich industries. Up until recently there were very few tools available to smaller businesses to add this type of analytics to their decision-making. Prescriptive analytics goes one step further and finds the best course of action for a given situation. Its primary goal is to enhance decision-making by giving multiple outcomes based on multiple variables. The analogy of how doctors prescribe medicine to patients based on a wide range of variables in a patient’s health, using an equally wide range of treatment options. Per CHED, Prescriptive Analytics help organizations develop insights to make decisions from the current data that maximizes the organization goals. Prescriptive analytics not only anticipates what will happen and when it will happen, but also why it will happen. Largely, instruction take the model building found in predictive analytics and supercharges it with more data, more choices and more outcomes. 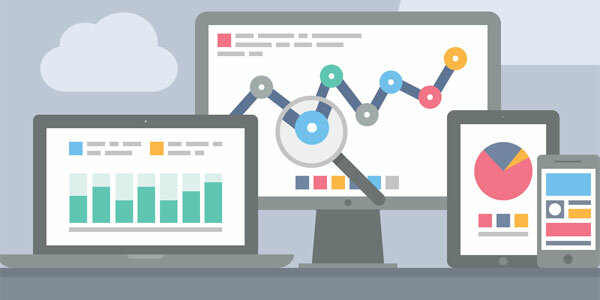 Prescriptive analytics is fairly new and just now gaining widespread use in the corporate world. There are not many tools available that are cheap or easy to use. Generally, you find data scientists assigned to prescriptive analytics projects. It also take us closer to some decision-making in a business being completely automated. With enough data on hand, using machine learning to analyze the data, we are starting to see artificial intelligence at play with prescriptive analytics. It is a pretty exciting time. Its important to keep in mind that to really be good at predictive and prescriptive analytics you need both the high tech tools and the training/experience to use them effectively. The person is the middle is often the most important one. When it comes to data science, the person who takes the data provided by the big data analyst and then gives the output of refined data to the business analyst is often the data science team MVP. As modeling experts play the role of a link between the data analyst and the business analysts.They have to know both the business and the data and then also know which type of analytics to apply. Modeling experts are primarily responsible for building data models and developing algorithms to draw conclusive information. Their job is to ensure that the derived information is well researched, accurate, easy to understand and unbiased. Ideal Candidates with statistical background, having a deep interest in quantitative topics, and are usually preferred for the role of machine learning experts. The ideal professional must have a solid understanding of data algorithms and data structures in specific, and software engineering concepts in general. Knowledge and experience with not only descriptive analytics, but also both predictive and prescriptive analytics is a plus. Descriptive Analytics looks at the past to explain the present. Predictive Analytics uses past data to model potential futures. Prescriptive Analytics use past data to direct variable present and future options. If you know someone looking to join the DMAI Data Science team to help businesses and schools around the Philippines set-up and/or build out data science capabilities then please tell them about this post. One of my trainees recently asked me for some help with an assignment she had in her philosophy class. Now I am such a Star Trek fan aka Trekie, that of course the first thing that comes to mind in the character Spock. The assignment is to look at the paperwork in a business and determine how logic and logical principles are applied. I look at logic as being used primarily in two different facets of paperwork. 1. to set priorities… using deductive reasoning to decide what priority is more important and which one to work on first. This is something that is hard to teach and a common interview question. Trying to determine if a person knows how to establish priorities tells you a lot about how logical they think. 2. to establish procedures… logic is used to set up a process like an assembly line or a pipeline where things are done in a routine that is most logical. Being efficient and optimizing a process require a lot of logic in the design and implantation of the process. When you have a problem with a process or too many priorities to accomplish all, you use logic to help you solve the problem. Analytics, or the discipline of using data to drive decision-making in a business, is closely related. Logic is used to identify the data you need, logic is required to interpret the analysis and logic is needed to determine how bet to communicate your findings. When you look at any business (or government, organization, structure, etc. ), you need to employ logic to make that business run and paperwork is a big, big part of the resulting of using logic. Forms, reports, summaries, etc… they are all receptacles of logic that are used to keep things moving. General Analytics – Analytics is the application of using data and analysis to discover patterns in data. DMAIPH specializes in empowering and enabling leaders, managers, professionals and students with a mastery of analytics fundamentals. Contact DMAIPH now at analytics@dmaiph.com or connect with me directly to find out what we can do to help you acquire the analytics mastery you and your organization need to be successful in today’s data-driven global marketplace. My reply was “That’s a great question Chris. As a blogger I try to not go into too much detail in these posts as most of my audience is relatively unfamiliar with concepts like Big Data, Business Intelligence Applications and Predictive Analytics. That said, I can think of a couple of ways to reply to your comment. I often say that Analytics is as much an art as it is a science. So, I will craft two blog response one for the artists and one for the scientists.” And then I will conclude with my own unique approach to analytics. So let’s tackle the science angle first. In corporate and academic circles, analytics is looked at primarily as a science. You have millions of pieces of data, you take that data and you analyze it and then you use the analysis in your decision-making. There is a lot of science in this approach. I often say that in the past two days we have created more data than we created in the entire history of human existence up to the past few years. This is big data… it’s mostly unstructured and its challenging to manage. It takes an understanding of how data is collected, stored, accessed and disseminated. This is why analytics usually starts with the IT team. They manage the databases that do all these things. SO as a scientist, you need to have a lab… in most cases this is a database or data warehouse. How easy is it to identify, inventory and integrate data in your business? Does you lab contain all the raw materials you need for your experiments? And the final part that to me is the most scientific… applying the tools. There many methodologies out there about decision-making. You are starting to see a lot more college and post-graduate course work in decision-making… this is what my friend Chris is talking about in his comment. Having the materials and the tools are no good if you don’t have tried and tested ways of using them so you can trust the results of your analysis. If you want to get into predictive analytics to try to guess right about sales trends or market direction, you need to have a lot of science on your side. Most businesses struggle having the analytics in place to fully understand where they have been and where they are now. Getting into a science driven way to predict the future requires data, tools and methodologies that you traditionally only find in big companies that invest in well-trained and/or educated professionals. When you have that then you can really benefit from the science side of analytics. However, are you just as well versed on the art side of the equation? And what if your business doesn’t have the capability of investing in the same things the big boys use? How can you maximize the art side of things? Let’s talk about that in our next blog!